The more time a young Assamese macaques spend on the games, the more quickly develop their motor skills, but the slower they grow. These observations suggest that the animals can spend time playing, even if it will have to sacrifice for the sake of the resources needed for growth. This behavior could be fixed only if the benefits of skills development that helps the game is very high. During games, spend time not only people, but also many animals – primates, felines, dolphins, crows, small rodents. It is believed that playing only those animals that have enough resources to more utilitarian needs – nutrition, growth, protection of the territory. However, new data from the German naturalist, said that playing in some animals may be located closer to the base of the pyramid of values. 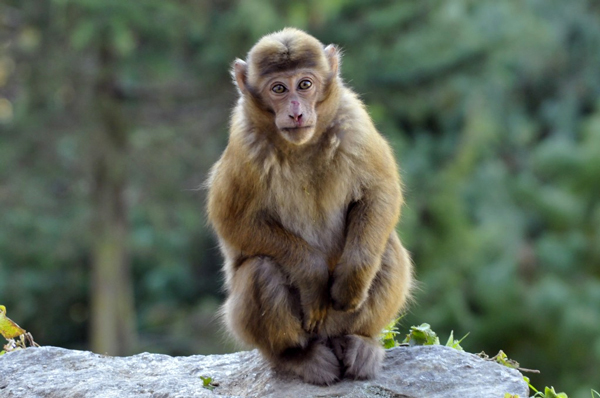 Young mountain monkeys, or Assamese macaques, for example, often prefer to save on growth and spending power in the game. This distribution of scarce resources may be justified, because the game speed up the development of motor skills in these monkeys. Although it is often said that the games help develop motor skills, this idea has not yet been accurately proven. Only circumstantial evidence was – for example, the coincidence of the peaks with the peaks of the gaming activity synapse formation in the motor cortex in several animal species. And if we talk about examples of animals that have long played and in which motor skills are well developed, the cause and effect here can be swapped – no motor skills are developed through games and play more than those who have the ability. To distinguish between these two options, it is necessary to observe the animals with his early childhood. Then you can learn and how to develop his skills, and how they can be associated with a love of games. Such observation of cubs Assamese macaques in the wild habitats conducted by German researchers from the University of Göttingen Georg-August for two years. Scientists interested in not only the potential benefits of the games, but also their “cost” for the animals. Game – it is an activity that brings tangible benefits here and now, so that in a first approximation, it can be regarded simply as a waste of energy. The researchers wanted to test whether the animals to play not only in the “fed” the times when there is enough food. Therefore, in the vicinity of the habitat study group monkeys are evaluated further and the number of fruits, which are eaten by monkeys. And in order to determine whether the growth of young macaques waste of effort to the game, the researchers several times a month were evaluated for their size photos. All study was delivered in a way that researchers have minimal impact on the natural way of living apes and just follow the life of animals from the side. Scientists have recorded in detail how to spend time 17 young Assamese macaques. He was important to estimate the proportion of time that each of the young dedicates games, and find out exactly what is the game – single or group, with objects or locomotor (catch-up, or a pile-small) – and how these games are active (running whether participants go or sit on the ground). This latter aspect was important to assess to account for differences in energy costs on different types of games. To assess the potential benefits of the games, the researchers identified 17 motor skills (such as running or jumping from branch to branch) and recorded when one of the young for the first time applied a particular skill. 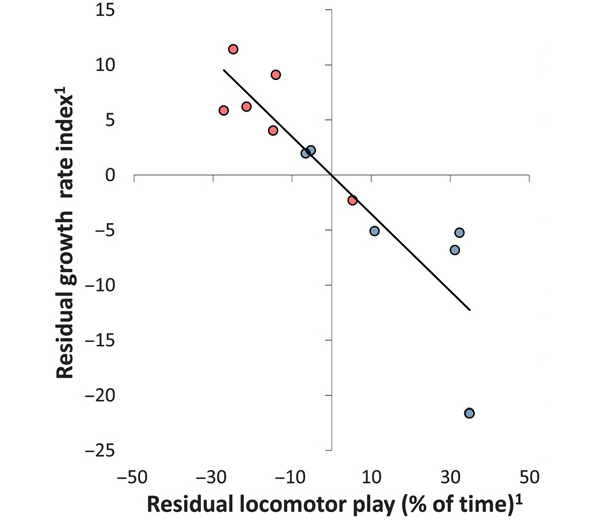 It was assumed that the game may affect how quickly young macaques will acquire motor skills. The study proved that the growth rate is inversely proportional to young rhesus time which they spent in active games (Fig. 2). The largest proportion of time spent in games – 12.2% – in line with slower growth at 30%. To play longer, animals refused not the search for and consumption of food, and from the rest. Therefore, a delay in the growth can not be attributed to a lack of supply of those animals who are too addicted to games; growth slowed down because of the expenditure of energy on the game itself. The more time young macaques were performed and playing games were more active, the faster they develop new motor skills. And because the skills that researchers have identified, appeared in the animals after they started to play, it can be concluded that it is active games caused the accelerated development of the skills of those who have played a lot, and not vice versa. Young males performed in games longer than the female, and as a result, motor skills develop faster than males. At the same time, behind males from females in growth, reaching adult body size an average of five months later. The representatives of the Old World monkey family, to which the studied species of monkeys, females can not invest so much in the game forces the males, as the rate of growth and maturation of females depends their reproductive success. For males this relationship is not the same, so they can afford to invest in the rapid development of motor skills. It can help the male to take a privileged position in the community and eventually affect his fertility. It is interesting that Young did not stop playing, even in difficult times, when the fruit was scarce, although lack of food further slowed their growth. It turns out that the game among young macaques – important article of energy costs and that the animals do not play only when they have enough resources. And when all the power is not enough, even the animals sacrificed growth rate for the game. This behavior could be fixed only if the game in the end turn out to be beneficial for the animals. In addition to accelerating the development of motor skills, which is especially important for males Old World monkey, games can provide other advantages – for example, to train the communication skills or the ability to make quick decisions in unexpected situations. Interestingly, these skills may be more important than the rate of growth not only in humans but also in Old World monkey monkeys. Childhood primates very long. Often write that it is necessary for the development of the brain and the acquisition of complex skills, but until now it was not clear why these processes should be associated with such a slow growth. Recent data suggest a mechanism that can bind develop important skills at the speed of growth: through games – expensive but great fun.